This year, PLJV joined a region-wide bird monitoring effort. The program, called Integrated Monitoring in Bird Conservation Regions (IMBCR), is a large partnership-driven program that uses state-of-the-art approaches for the entire process, from the sampling design to how it reports results. The implementation of this program within the PLJV region is called IMBCR for PLJV. Through this program, PLJV will greatly increase its ability to focus and evaluate habitat work and support proactive, targeted conservation action. Bird Conservancy of the Rockies, a PLJV Management Board member, will execute most aspects of the program from hiring field workers to posting summary results in the Rocky Mountain Avian Data Center, which will be available to all partners. Landowners will be contacted in March to request access to survey locations on private lands and the field technicians will conduct surveys beginning in late April through June. These data will allow PLJV and its partners to better understand bird use of rivers, playas and prairies in the region which, in turn, will create better conservation outcomes. A unique feature of the IMBCR program is that the sample sites are randomly selected, unlike other large monitoring programs that sample along roadsides (e.g., Breeding Bird Survey). Researchers use a computer program to randomly select square kilometer survey locations, including on private lands. Since 97 percent of the land within the PLJV region is privately owned, landowner participation is critical for getting an accurate picture of bird populations and informing successful, voluntary conservation efforts across the region. After the survey sites are selected, public records obtained from county assessor offices are matched to the sample locations and the information is used to contact landowners to request permission to survey on their land. The landowner information is not used in any other way or shared; in fact, landowner contact information is kept in a separate database from the data collected at the sample sites. Bird Conservancy of the Rockies contacts landowners or managers in the survey areas by mail early in the year. The correspondence includes a permission request letter and provides information about the IMBCR program, a map showing the exact survey locations on the property and a self-addressed stamped return card. The return card provides a quick and easy way for the landowner to provide information about the survey location, and most importantly, give their consent to access the property. If a return card is not received, Bird Conservancy staff attempt to contact landowners by phone to seek permission. 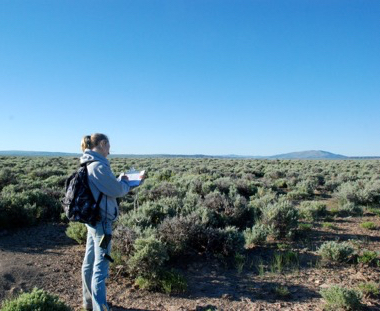 After obtaining landowner permission to access a survey location, one or two scientists visit the site once a year for a few hours in the morning. They walk to specific points within the survey location, collect habitat data, count birds and record those numbers for analysis and comparison with other years’ data. A follow up letter is sent to each private landowner that includes a list of every bird species observed at the survey location. Listen to the following episodes of Playa Country radio show that feature Bird Conservancy of the Rockies staff and a participating landowner. For more information about this program, visit the IMBCR for PLJV webpage or download the IMBCR for PLJV partner brochure.